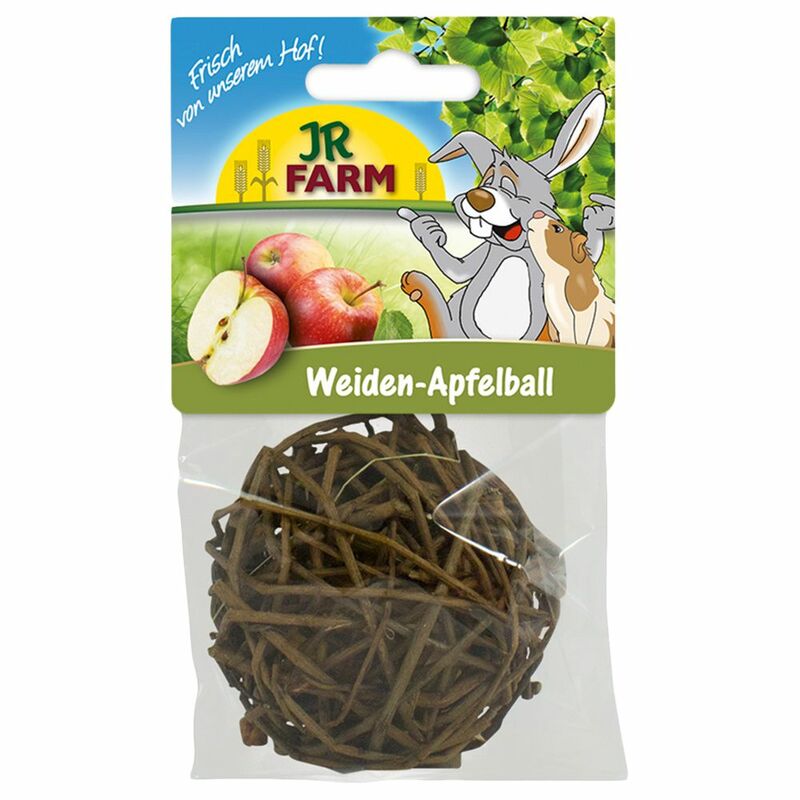 This willow ball from JR Farm is a great toy for small pets such as rabbits. Your pet has to find out how to get at the delicious pieces of dried apple inside. It is perfectly safe for your pet to nibble on the untreated willow twigs to do so. The treats can also be removed through the filling hole. And the snackball is also a ball which can be pushed and nudged. Mr Woodfield Willow Apple Ball is a supplementary feed. Diameter: approx 8 cm.